Do you get the press coverage you want? We can make it happen! Just like independent, credible awards are very persuasive to your customers, so is favorable media coverage. Anyone can buy an ad, but your prospects view ads and news coverage very differently. Research shows that news reports are viewed as more objective and therefore make a stronger impact on buying decisions. You know how hard it is to get news coverage on your own. As an independent research and news source, the Pulse editorial staff is positioned to send your press release to your local and regional print and electronic media beat writers and editors, as part of their local news feed for their coverage. 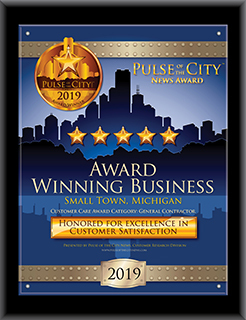 Your receipt of the Pulse Award is itself a newsworthy item, and can be combined by our professional staff into a telling of both your company’s award status and how you got there. Our well-written press releases also consider search engine optimization (SEO) to get the word out. Press releases can reach many beyond those that you are otherwise going to contact or draw to you through your website, social media and other contacts. Prospects who come to you after having learned of you and your merits through independent media sources are far more likely to become buyers because the fact that independent media reported on you itself establishes credibility and confidence in selecting you that no amount of “telling your own story” paid advertising can ever do. The value of media coverage obtained through the use of our expert news placement services continues beyond your original coverage. In the future, as prospects or customers search online for your business they will not only find you, but also see the favorable news coverage. This improves your reputation and enhances your SEO standing on future Internet searches. And don’t overlook the old-style, pre-digital age opportunity to display copies of your news coverage framed on your wall or in your print marketing and informational material on an ongoing basis — still valuable in the digital age! As well as posting digitally in social media or other electronic forms.